According to Justice Kalu, the Campus Director, he said that the University of Nigeria has been selected to Host 2017/18 local edition of Hult Prize as students answer the United Nations Challenge: “TRANSFORM: Harnessing the Power of Energy to Transform the Lives of 10 Million. “It’s not every day that you have an opportunity to change the world. A team of you will be representing all of us at the upcoming Hult Prize Regional Finals in March, 2018. This is our chance to show the world that our institution is dedicated to Impact. We believe that the next idea that will change the world can come from anywhere, so, we encourage every student from University of Nigeria to participate regardless of their program. Although your team will pitch a business idea, you do not need one to register; our team of social entrepreneurs will guide you through your social entrepreneurship idea generation and development process. Don’t miss the opportunity to be the million-dollar idea that will change the world. Therefore, we welcome anyone who want to change the world to join this movement for social impact as it is another opportunity to restore the dignity of man! The winner of the intra-campus event will automatically advance to compete in one of fifteen regional finals happening around the world. One winning team from each host city will then move onto a summer business incubator, where participants will receive mentorship, advisory and strategic planning as they create prototypes and set-up to launch their new social business. A final round of competition will be hosted in September, 2018, where the winning team to be awarded the $1.000.000 prize. “How would you change the world with 1 Million dollars? The Hult Prize is a wonderful example of the creative cooperation needed to build a world with shared opportunity, shared responsibility, and shared prosperity, and each year I look forward to seeing the many outstanding ideas the competition produces,” Clinton has stated. Hult Prize at University of Nigeria is now recruiting volunteers and teams who are interested in registering for the competition. Note: The competition is open for both Nsukka and Enugu Campuses of the University. www.hultprizeat.com/nigeria. Students are also advised to download the 2018 Hult Prize Challenge guide on the website, this guide has the full details of what is required of teams in this year’s Hult Prize Competition. Date of Main Event: 9th December, 2017. With the above guidlines, i am sure you can easily Apply for University of Nigeria (UNN) Hult Prize Challenge 2018 by yourself. UNN 2017 JUPEB Names of Admitted Candidates. This is to inform all candidates who applied for admission into University Of Nigeria, Nsukka Joint Universities Preliminary Examination Board (JUPEB) programme that the management has released the 2017/2018 Admission List. Names of admitted JUPEB candidates has been uploaded online. Below are some UNN requirement you need to have before being admitted into the tertiary institution and one of them is to make sure you meet to the cut off point of that school. There are certain criteria to be observed by students before they gain admission to study in any of the courses in any university. One of these which include meeting the required cut of mark/point for each school’s as well as the courses itself. Candidates with higher scores are first considered; in admission basics, candidates with lower scores though might meet the UNN cut off point 2017 of 180 may likely not be admitted. In fact, it is the higher your scores, the higher the chance of being admitted. Similarly the point system was initially called Cut of mark for 2017 Academic Session is now available on this site, students who score below 180 cannot be accepted into University of Nigerian Nnsukka to study law as the official cut of point is 200 and above. However, For those who score below 180 and want to gain admission into the university should do change of course or institution for better chance of gaining admission this year into the university. Because the number of students wishing studies at the University of Nigerian Nnsukka, the lower levels is determined by a variable based on the jamb and level points. 180 – All other course. UNN Cut off point 2017 is a system strategy used to give students admission into the university, formally called cut of mark but now referred to cut of point. However, this year general UNN Cut off point 2017 for law into UNN is 200, so if you score 200 and above you can participate in the screening exercise. Please do not forget to share this information with others. The Federal College of Education, Eha-Amufu to affiliate with the University of Nigeria, Nsukka for its degree programmes. This was made known to us by the school management. Rev. Prof. B. N. Mbah, Provost of FCE made this statement during Affiliation Resource Verification visit by the University of Nigeria, Nsukka Team led by the Dean, Faculty of Education UNN, Prof. (Mrs) Stella Nwizu on Thursday, June 1st, 2017. 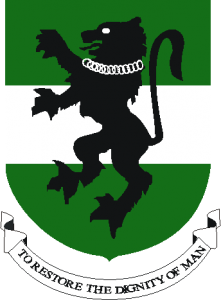 The University Of Nigeria, Nsukka has published the List of Candidates Recommended For The 2016/2017 Supplementary Postgraduate Admissions (Batch C & D). The Admission list has been published online. 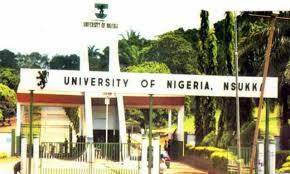 Download UNN List of Candidates Recommended For The 2016/2017 Supplementary Postgraduate Admissions (Batch C & D) below. University Of Nigeria, Nsukka University Administration recently declared LECTURE FREE DAY with respect to 2017 International Conference of the School of General Studies on the theme, “General Studies in the 21st Century African Development”. The Lecture Free Day is important to enable 100 and 200 Level Students of the University (ALL WHO OFFER GENERAL STUDIES’ COURSES) to participate fully in the Conference. All Deans of Faculty, Directors of Institute/Centre and Heads of Academic Department are hereby directed to ensure STRICT COMPLIANCE to this directive. Event Venue on Monday, 08 /05/2017 is Princess Alexandra Auditorium by 9:00 am. University of Nigeria, Nsukka, UNN School of Postgraduate Studies orientation programme for 2016/2017 academic session admitted students. All UNN fresh postgraduate students admitted in the 2016/2017 academic session for Nsukka and Enugu Campuses are hereby informed that the School of Postgraduate Studies is organizing an orientation programme for them. In pursuit of the vision of the current University Administration to reposition its postgraduate programmes for global competitiveness, the School of Postgraduate Studies considers it needful and pertinent to organize orientation programme for its 2016/2017 intakes. This will be a proactive enlightenment effort that will spur postgraduate students to operate at the expected high levels and minimize cases of delays in graduation, failures and mistakes that could arise from ignorance. 10.00a.m – 10.05a.m : Opening Prayer. 10.20a.m – 10.40a.m : Address by the Vice -Chancellor/Chairman/Declare the occasion open. 2.20 p.m – 2.25p.m : Closing Prayer. 2.30 p.m. : Tour of the University Library All fresh postgraduate students are expected to participate. 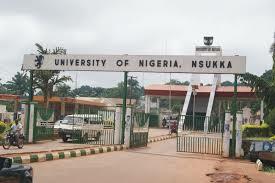 Nsukka has scheduled her CHM171 examination. F.N. J.U. Ani, A.U. Ofoefule., I.U.Agbo, Agbo K.
Group 4Human Physiology (164) Sc. Edu Bio. NOTICE: ALL STUDENTS ARE REQUIRED TO COME ALONG WITH ACCEPTABLE ID CARD FOR PROPER IDENTIFICATION AND 30 MINUTES BE.